VIDEO CONTENT AVAILABLE – Thanks to Office National Dandenong for the opportunity to present this blog as a video – check it out here. There are 5 important things to consider when choosing a diary or planner. 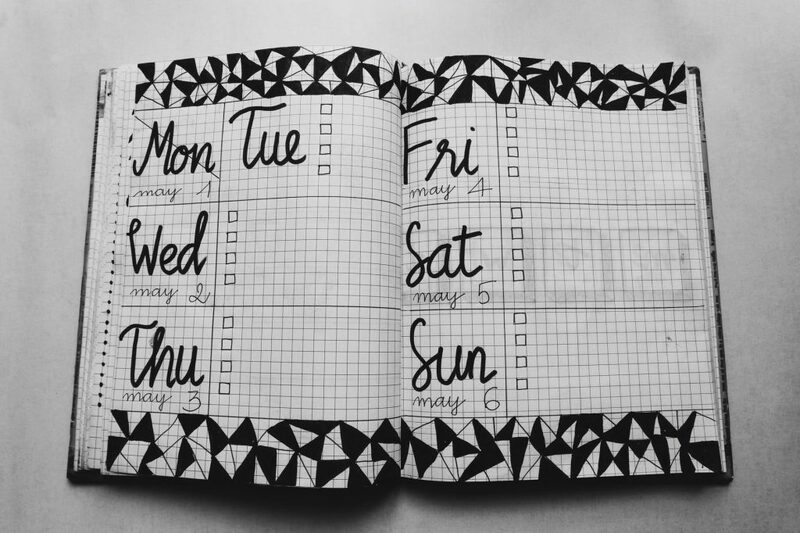 These 5 things are related to how you’re going to use your diary. As a professional organiser my client focus it to ensure the system, process or storage we set up works for the client. It’s the same with a diary – it needs to be right for how it is going to be used. Is the diary to be used for appointments only? Consider the appointment length required. Do you want to see the whole week to get the flow right? Or is looking at the whole week too overwhelming? Will you be carrying the diary around with you – will A4, day to a page be too heavy to carry with you? A5 or even pocket size my be easier to carry with you. Will the diary be sitting on your desk all day and hence size (and weight) is not such a concern? Is the look of the planner important to you? Do you like to be creative and colour code appointments or do you like to bullet journal as per the image above? Are you buying for all the employees in the company and have a budget to consider? Do you want to capture Goals & Projects? Do you need to keep a track of your to-do lists? Do you want to use it as a life planner also? 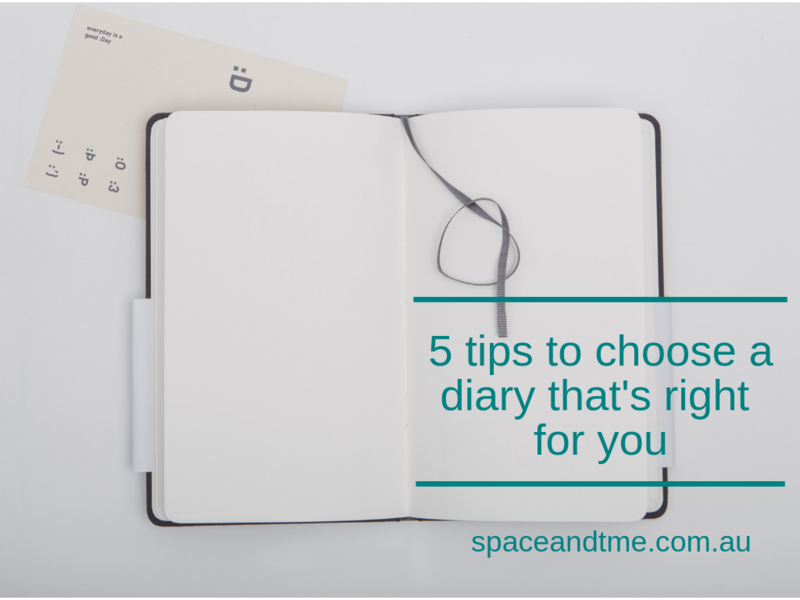 Considering the 5 tips above will help you choose the right diary for you. Don’t forget to check out The Office National Dandenong Website too.